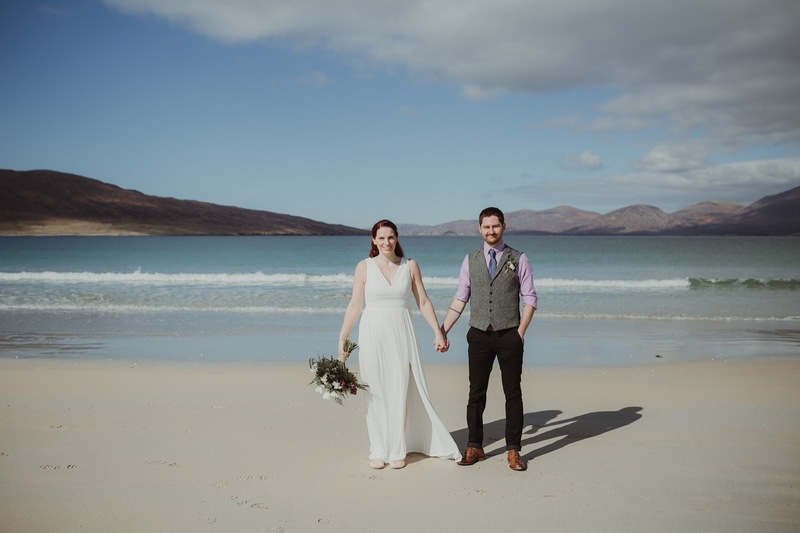 Jess & Adam chose the beautiful Isle of Harris for their elopement. Their ceremony took place on a very sunny day on Luskentyre Beach, at the start of spring. It was such a joy working with this lovely couple. <3 I love that Harris is becoming a more popular destination for elopements, and cherish every visit to this stunning Isle which is just across the water from my own.